The following are the latest results contributed by HM Courts Service, for cases sentenced by West Sussex Magistrates’ Court sitting at Worthing from January 4 to 10, 2019. Paul Hendra, 49, of Glamis Street, Bognor Regis, was fined £123 and must pay £30 victim surcharge, £200 costs, after admitting failing to provice a specimen of blood for analysis when required at Worthing Custody Centre on August 31, 2018. He was disqualified from driving for 17 months. 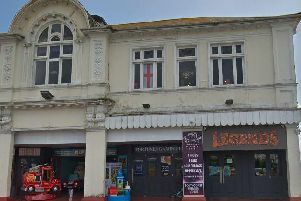 Tomasz Bonislawski, 39, of George IV Walk, Bognor Regis, was fined £380 and must pay £38 victim surcharge, £85 costs, after admitting drink-driving (91mg of alcohol in 100ml of breath) in Wick Street, Wick, on December 15, 2018. He was disqualified from driving for 23 months. Gale Strudwick, 49, of Sherborne Road, Chichester, was fined £276 and must pay £30 victim surcharge, £85 costs, after admitting drink-driving (115mg of alcohol in 100ml of breath) in Sherborne Road, Chichester, on December 15, 2018. She was disqualified from driving for 28 months. Hayley Snelling, 35, of Lea House, Barton Road, Bognor Regis, was given a community order with four-week curfew, electronically monitored, from 7pm to 7am, Drug Rehabilitation Requirement and Rehabilitation Activity Requirement, and must pay a total of £693.96 compensation after admitting taking a vehicle without consent in Bognor Regis on July 3, 2018; stealing a handbag and its contents, worth £56.95; stealing various items including a SatNav, car jack and tools, in Bognor Regis on July 3, 2018; fraud by dishonestly making a false representation, using a stolen bank card with intent to purchase food from Burger King, Arun Retail Park, on July 3, 2018; fraud by dishonestly making a false representation, using a stolen bank card with intent to purchase items worth £29 from Next, Arun Retail Park, on July 3, 2018; fraud by dishonestly making a false representation, using a stolen bank card with intent to purchase food worth £20 from Marks and Spencer, Bognor Regis, on July 3, 2018; fraud by dishonestly making a false representation, using a stolen bank card with intent to purchase items from Tesco Petrol Station, Shripney Road, Bognor Regis, on July 3, 2018; fraud by dishonestly making a false representation, attempting to use a stolen bank card intending to purchase vodka worth £29.99 from Sibel’s Mini Market, Hawthorn Road, Bognor Regis, on July 3, 2018. She also admitted breaching a community order and was dealt with for the original offence, receiving a community order for stealing items worth £80 from Wilkinson, Bognor Regis, on April 27, 2018. Tom Perry, 20, of Melrose Avenue, Tarring, was fined £200 and must pay £30 victim surcharge, £85 costs, after admitting drug-driving (4.5ug/l Delta-9-THC) on the A27 Poling on September 2, 2018. He was disqualified from driving for 16 months. Harry Smith, 30, of The Peacheries, Chichester, was fined £484 and must pay £48 victim surcharge, £85 costs, after admitting driving without due care and attention at Yapton Level Crossing on August 22, 2018. His driving record was endorsed with nine points. Simon Adlam, 24, of The Esplanade, Bognor Regis, was discharged conditionally for 12 months and must pay £20 victim surcharge after admitting possessing one gram of cannabis in Worthing on March 28, 2018; and possessing one gram of cocaine in Worthing on March 28, 2018. He also admitted breaching a conditional discharge order, no action taken. Ryan Morris, 23, of Bradshaw Road, Chichester, was fined £120 after admitting failing to provide a specimen of breath of analysis when required in Durrington on December 17, 2018. He also admitted driving without insurance and driving without the correct licence, no separate penalty. He was disqualified from driving for 36 months. He was given a community order with four-month curfew, electronically monitored, from 8pm to 6am daily, and Rehabilitation Activity Requirement after admitting assault at The Harvester, Chichester, on December 23, 2018. He must pay £100 compensation, £85 victim surcharge, £85 costs. He was fined £80 after admitting possessing cannabis in Millfield Close, Chichester, on December 23, 2018. Shane Cornick, 27, of Linden Road, Bognor Regis, was fined £50 and must pay £30 victim surcharge after admitting possessing diamorphine, a class A drug, in Bognor Regis on December 8, 2018. He was fined £120 after admitting breaching supervision requirements following release from prison by failing to report as instructed on November 22 and 29, 2018, and December 10, 2018. Nigel Rawlins, 64, of Barton Close, Nyetimber, was discharged conditionally for 12 months after being found guilty of harassment without violence in Chichester between October 1, 2017, and May 31, 2018, by sending text messages, making allegations and posting signs at various locations; and criminal damage, causing £400 damage to property in Chichester on May 6, 2018. He must pay £20 victim surcharge and was given a restraining order.